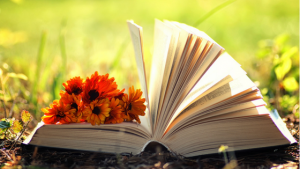 The library offers many programs for adults, from guest speakers to book discussion groups. All programs are held in the Eagle Municipal Building unless indicated. Friday Morning Coffee Hour is from 9:30 a.m. – 11:00 a.m. on Fridays. Friday, 6:30 p.m. – 10:00 p.m.
Come play board games and card games from our wide selection — or bring your own! We’ll also have pizza by the slice available, with free drinks! Try your hand at fun activities with cookies, marshmallows, spaghetti, and chocolate. Light refreshments will be provided. A Memory Café is an informal social gathering for those living with early-stage memory loss and their care-partner. Please check out www.librarymemoryproject.org for more information. It seems like CBD products are everywhere these days. Join Erica Mallory, Registered Nurse, as she explains where CBD comes from, the Endocannabinoid System, and how to determine if CBD is the right choice for your health. Calling all gardeners and nature lovers! Join author Rochelle Pennington for a walk through nature — along garden paths and through forest floors. The author will be sharing observations and poetry from some of the world’s most remembered nature writers, as well as revealing many mysteries that surround us daily. Co-sponsored by the Eagle Nature Trail. The Eagle Historical Society will have their Annual Spring Membership Meeting at 6:45 p.m. At 7:00 p.m. meet Pvt. Sidney P. Kline portrayed by EHS Member Mike Rice. Kline will talk about life in Eagle and his experiences in the American Civil War. Join us for this interesting presentation. This event is free and open to the public. Refreshments will be served. Co-sponsored by the Eagle Historical Society and the Alice Baker Library. Presented by Public Health Nurse Krystal Fuchs. She is with the Waukesha County Health Division. Friday, 4:30 p.m. – 6:00 p.m.
Tuesday, 6:30 p.m. – 8:00 p.m. Presented by Whatever Comes Naturally. Please register with the library. 20 spots! In this workshop you will learn what it takes to make soap from scratch. We will go over safety, equipment, ingredients and then put it all together to make soap that you can take home. Friday, 11:00 a.m. – 12:00 p.m.
We will be using alcohol ink art and tiles. 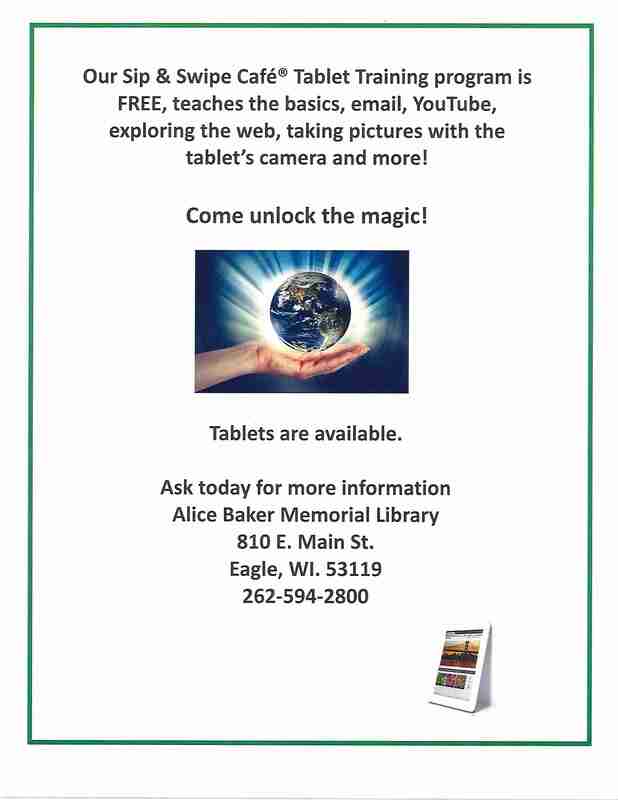 Please register with the library for this program. 10 spots! Saturday, 1:30 p.m. – 3:00 p.m. 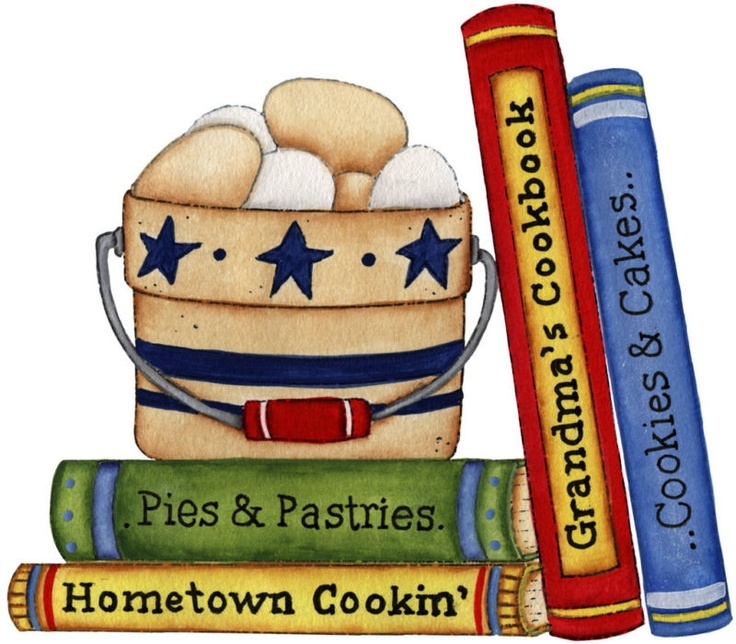 Please register with the library for this free cooking demonstration and tasting program. 25 spots! 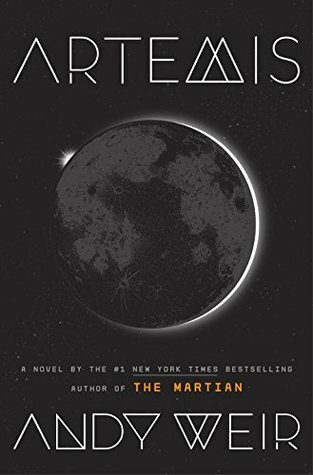 Friday, 5:30 p.m. – 6:30 p.m.
Wednesdays at 6:00 p.m. – 7:30 p.m.
May’s book is “Artemis” by Andy Weir. Pre-registration is required. The food theme is: astronaut food. Talk about group reading selections or about your own favorites. Please join us for book talk at Goodreads. This group discusses book selections, reads, and then discusses online. Don’t miss out! Set up your profile at Goodreads, and join in on the conversation.